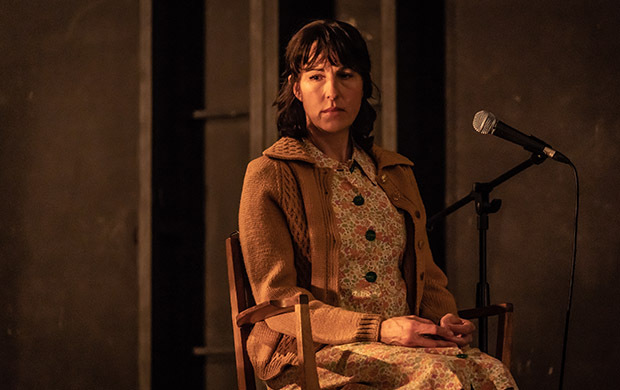 "An emotional rollercoaster and a joy to watch"
Pinter at the Pinter season is in full swing with the third selection of plays, Landscape / A Kind of Alaska / Monologue currently showing at the theatre named after the celebrated playwright. To commemorate the 10th anniversary of Harold Pinter’s death, director Jamie Lloyd has expertly used all of the dramatist’s one-act plays spread over seven productions, with the third focusing on some of the most poignant pieces, evoking feelings of isolation and loneliness. Interspersed with some of Pinter’s most hysterical comedy sketches, Pinter 3 is an emotional rollercoaster and a joy to watch, made even more enjoyable with its outstanding cast. The evening begins with Landscape, a minimalist piece that features Tamsin Greig as a woman locked in a dreamy memory. Greig speaks softly with a romantic, whimsical tone and glances vaguely into her recollections, as her husband (Keith Allen) tries to talk sharply over her, demanding to be heard. However, they appear to never actually hear each other. We are then introduced to Lee Evans and Meera Syal, who perform the short but hilarious Apart From That. With the couple communicating in unfinished sentences yet understanding each other’s situations, the skit is in stark contrast to the couple in Landscape and is a welcome piece of comic relief. There are more comedy sketches involving Evans, Allen and Tom Edden in wigs, plus the moving Monologue performed by Evans, but the night ends with the strongest one-act play of Pinter 3: A Kind of Alaska. Deborah (Greig) has just awoken from a 29-year sleep. Now a woman in her forties, she has the mind of a 16-year-old and is suspended between consciousness and the fantasy of the life she thinks still exists. Helped by her sister (Syal) and doctor (Allen), they try to edge her back to reality. Greig delivers the best performance of the night in A Kind of Alaska, and the terrified dread of the realisation of her situation as she tries to stand up from her bed and walk felt tangible around the auditorium. With a revolving cube set comprising a different setting on each side, the scene changes were seamless, even as very different subject matters were dealt with in short succession. Pinter 3 looks at loneliness and time in a touching way, lifted by the shorter, comic sketches, and features some excellent performances. 5 November 2018 - "An emotional rollercoaster and a joy to watch"